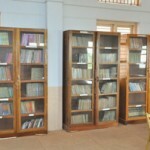 The spacious and well furnished college Library has separate section for general reading and reference materials. 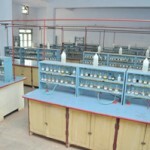 It has as many as 5000 volume of various disciplines and the college is updating the number as when required. The college also subscribes to number of journals/ periodicals and news papers of various languages. 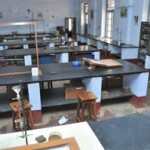 The well equipped laboratories with spacious and well ventilated halls give practical approach to botany, zoology, chemistry, physical and computer science subjects. They are well maintained and the college upgrades hem whenever required with the necessary infrastructure. It is biggest of its kind in the region with a complete upto-date infrastructure. 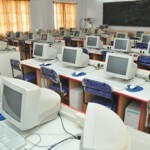 It offers various part of Diploma and certificate course in computer application. 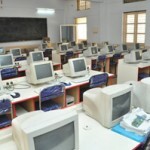 It is equipped with spacious Laboratories with more than 200 computers of various configuration, power generator, UPS systems and Novel, Linux & Windows 2000 network environment with latest software. It also has an Internet Browsing section. The college in association with parent teachers Association conducts a special course for the students to prepare them for the entrance examination for professional colleges of Karnataka after pre University Course. The college is also an examination center for CET exams. The college is maintaining a ‘Student Welfare Fund. This is used for providing Scholarship/ Freeship for economically week meritorious student and mid day meals at concessional rates for the economically poor students who are coming from distance places. Various endowment prizes have been instituted by old students / retired staff members / general donors to recognize and encourage the meritorious students. 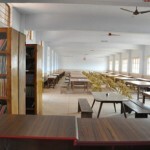 The specious auditorium is used by the students, clubs and associations of the college for co-curricular and extracurricular activities .the auditorium is also used by various voluntary Organizations to organize social awareness or beneficial programmes. The college is well known not only for its excellent record in the academic activities but also for the magnificent performance in the sports and games fields. In addition to the extensive and well maintained 400 mtr track sports field, the college has fields for Hockey, Football, and Cricket, courts for Volleyball, Tennis, Kabaddi, Badminton, Basket Ball, Throw Ball and Kho-Kho. Facilities for the in-door games like Table Tennis, Chess and Carom are available in the Hostels. We have very good collection of sports and games equipments that serve the need of the internal sports personnel as well as needy public. The college is privileged to have an Independent Branch of Corporation Bank in the Campus. Canteen, Milk parlor, STD/ISD both, X-ROX Centre and stationary shop are also available with in Campus for students use. There was constant demand from the parents and students especially of those hailing from the rural area to arrange an effective, affordable and convenient summer classes in St Philomena P.U college itself. In response to this the PTA of college conducts the classes during the summer vacation by the experienced staff. The course bridges the gap between first and second year P.U. courses.